Yisrael Beytenu head proposes a law to strip funding of Knesset parties that support boycotts of products from Judea and Samaria. Although not a member of the government, Yisrael Beytenu chairman Avigdor Liberman on Thursday proposed a law that is likely to be supported by the right-wing coalition. The law would strip political parties of government funding if they supported boycotts of any Israeli products, including those from Judea and Samaria. The bill would also halt funding for day to day operations for parties that are already in the Knesset. The bill would affect Arab parties, such as those that are part of the Joint Arab List, which have openly advocated for such boycotts. But it was likely to affect other parties as well, including Meretz, which supports – or at least does not oppose – calls by organizations in Europe to boycott products made by Jews in Judea and Samaria. Liberman said that the bill was the perfect companion to the country's struggle against BDS efforts around the world. In general, fundraising from private sources by Israeli political parties is banned. Instead, the government provides parties with funds to campaign, as well as time on television and radio stations to promote their message in the period before elections. Any party that is qualified to run for the Knesset is eligible for funding. 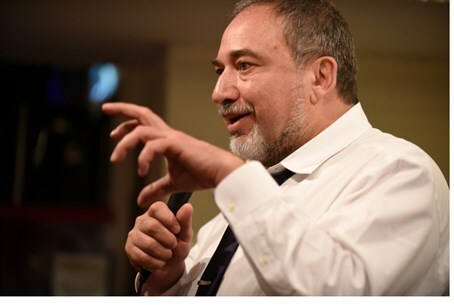 “There is no doubt that the calls for boycott and divestment from Israel hurt the Israeli economy and Israeli citizens,” Liberman stated. “It is illogical for Israel to, with its own hands, fund organizations that harm the ability of Israeli citizens to support themselves. “These boycotts are just another, modern form of anti-Semitism, and there is certainly no place for anti-Semitism in Israel's parliament,” he added.